TLC for Pumpkin Soup? This beats everything! 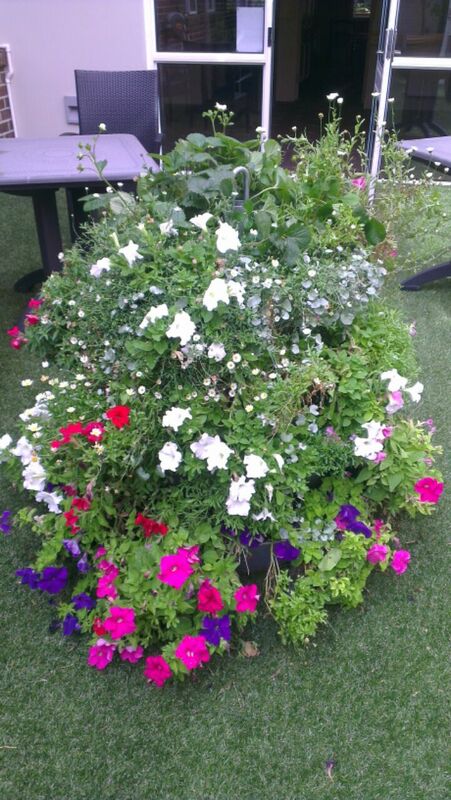 Jo Bozin has installed yet ANOTHER vertical garden for Aged Care residents in Victoria. This time at ‘The Gables’ in Camberwell and with the help of a clever maintenance man she’s split a tall tower into two, one for flowers and one for veggies and herbs. 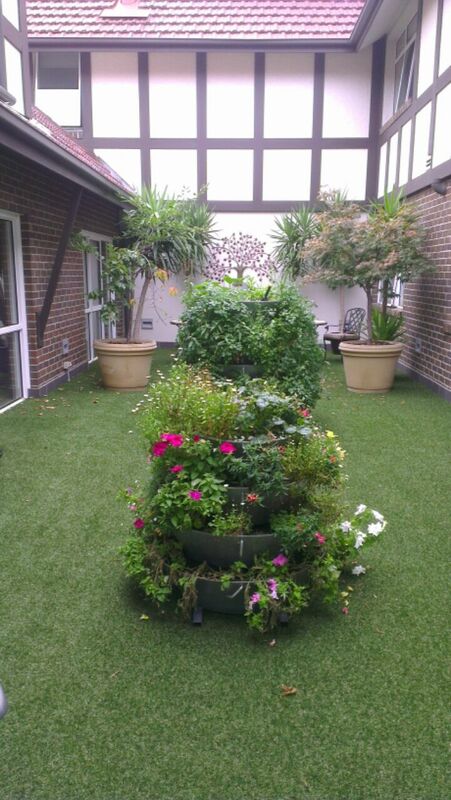 Add a bit of faux turf and a lush, green, relaxing space for residents has been created in what was previously a grey, paved courtyard. The chef’s happy too, with fresh produce now on tap and hopefully 'home grown' pumpkin soup on the menu soon. Have to admit that the sun brolly is a ‘first’…but that’s Jo for you!